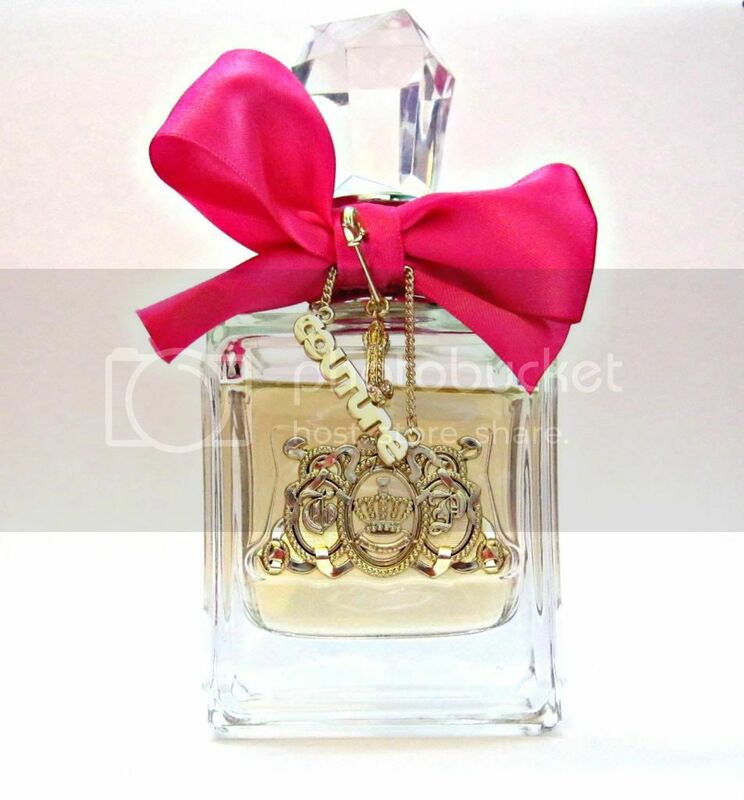 We all have that one perfume, or a dozen, that we long for and for a very long time mine was the Juicy Couture Viva La Juicy . Ever since my local boots stocked it I drooled over it every time I went in there. Naturally I chose boots for the my work experience and they gave me this at the end to say thank you and the rest is history. I adore the intricate design on the front and the delicate charms. The bright pink bow makes it stand out and stands proudly on my desk. Long live the scent of couture. With top notes of wild berries and juicy mandarin gently tempered with honeysuckle, gardenia and jasmine. Underlying it all are warm tones of amber, caramel, vanilla, sandalwood and praline. I think they summed it up magically If I was to have a shot at describing it I would say its fruity but grown up, sweet but warm. For me it stands out from the rest. This is definitely my favourite scent. I think it would make a lovely Christmas present for an older sister or any female. The best place I have found to purchase Viva La Juicy and other Juicy Couture perfumes such as Viva La Juicy La Fleur is Debenhams. This cute little set is only £39.10 (saving of £6.90) at Debenhams at the moment. You get a 50ml Eau De Parfum and a 125ml matching Body Lotion. That's the same price as buying just the 50ml Parfum on its own, pick up a bargain whilst you can! 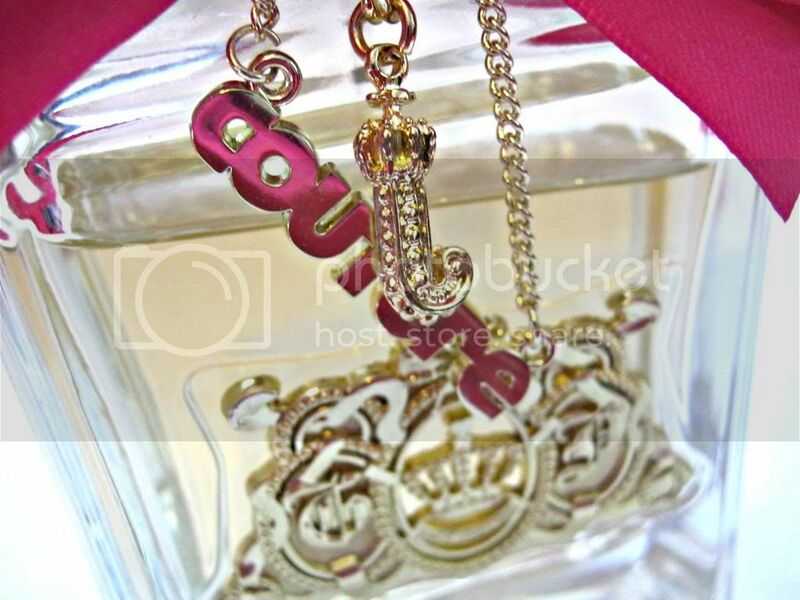 This is one of the perfumes that I finished and kept the bottle. I just couldn't convince myself to throw it away. 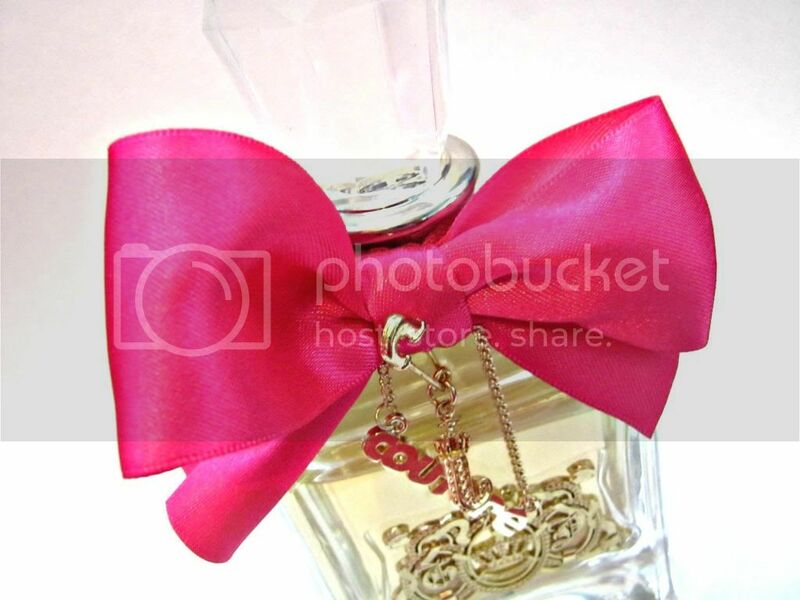 Funnely enough, I got Viva la juicy le fleur for my birthday! I am also going to write a post on it too! I also got a double ended perfume stick and one of the sides is viva la juicy and its a lovely smell!